Peregrine Video Productions®, a full service video production company, has been owned and operated by John W. Vanderpoel since 1994. This innovative company offers a wide range of services and equipment to meet your every media need. Specializing in corporate, promotional, training and wildlife videos, Peregrine Video Productions offers creative, professional quality productions at an affordable price. Conveniently located close to both Longmont and Boulder in Niwot, Colorado, with the capability to produce your project in web based streaming video, DVD or traditional video format, Peregrine Video Productions is ready to meet your media needs. 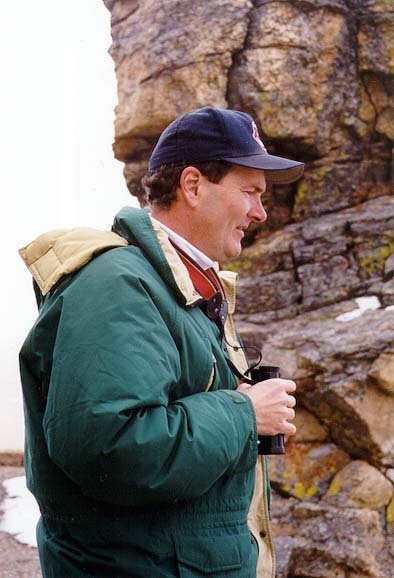 Peregrine Video Productions® is also the creator of The Advanced Birding Video Series® with Jon L. Dunn. The Advanced Birding Video Series now consists of three highly acclaimed videos which are unmatched in their ability to help beginning and expert birders learn to identify the hummingbirds and gulls of North America. For details and ordering information on the Advanced Birding Video Series, and other birding videos, please use The Advanced Birding Video Series link.